Stepping through a narrow alley way, under low-slung balconies and sagging clotheslines, the landscape opens up and what had appeared to be an open field in the middle of a megacity now comes in to view. Prumpung Public Cemetery on a Saturday morning is most certainly the place to be; snack hawkers shout as they amble along the rows of horseshoe shaped headstones, groups of friends congregate alongside tea stands, and families gather around the graves of aunts and uncles. Such was my introduction to the East Jakarta neighborhood of Cipinang Besar Utara, where I would soon be playing Simon Says, dancing, and beatboxing with the 60 Indonesian youth who we interviewed about their media and technology habits. What we found surprised me; who knew so many Indonesian young people had mobiles? Who knew so many were using a certain blue-tinted social network? More on both later, but first, a step back to the macro level. The latest official numbers peg unemployment in Indonesia at 5.5 percent. With a total workforce of 127.8 million, this amounts to some 7.02 million able-bodied people who are actively searching for a job and can’t find one. Among youth (ages 16-24) the problem is even worse: official numbers put youth unemployment at 20 percent and up. With fully half of Indonesia’s population under 30, high youth unemployment does not bode well for the country’s present nor for its future. And these are just the official numbers; they don’t include those who have given up looking, nor do they include the informal labor sector. Youth who are not in school and not working—like many of those I met in Cipinang Besar Utara—are uniquely vulnerable to drug use, gang, or extremist recruitment, and violence; they aren’t actively developing productive life skills nor are they engaging in productive economic activity in their communities. With this as context, DAI is working hard to gain deeper insights into the lives of these young people. Our goal is to find innovative ways to get them off the streets, into training programs, and ultimately into stable jobs. More narrowly, we’re exploring new opportunities for jump-starting workforce development in a country with more than 88 million internet users, 93 percent of whom access the internet via their phone. 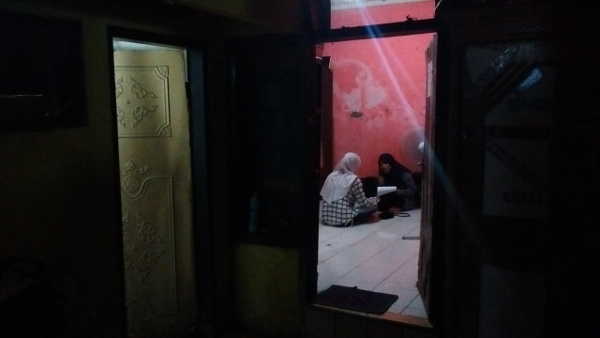 In early April, DAI sent me to Indonesia to replicate the research I’ve been doing in Honduras, which focuses on understanding how at-risk young people participate in information flows. How do at-risk youth receive and share information in general? Do they have mobile phones? If so, what kind? What kinds of communication apps are most popular? What kinds of games do they play? We call this research Digital Insights and below is a bit of what we found. We conducted 107 face-to-face interviews with young people. About half were in Jakarta and half were in Semarang, a less urban city in the center of Java (the same island as Jakarta). They were roughly half females and half males, and their average age was 18. The graphic below contains a few sample, binary results from our survey in Indonesia. Eighty-six percent of our respondents had mobile phones; 62 percent had smartphones, 77 percent use Facebook on their phones, and 48 percent are mobile gamers. Social Media Habits & App Choices. The author would like to thank Plan Indonesia for assistance in carrying out Digital Insights research.